Previously, the video’s director, Dave Meyers, came under legal fire for using imagery similar to that of artist Lina Iris Viktor in a music video for Kendrick Lamar and SZA’s song for the Black Panther movie. There are several scenes from Ariana Grande’s music video for her single “God is a woman” that play clever homage to artists like Georgia O’Keeffe and Judy Chicago. Then there are others, which some critics say are complete rip-offs. 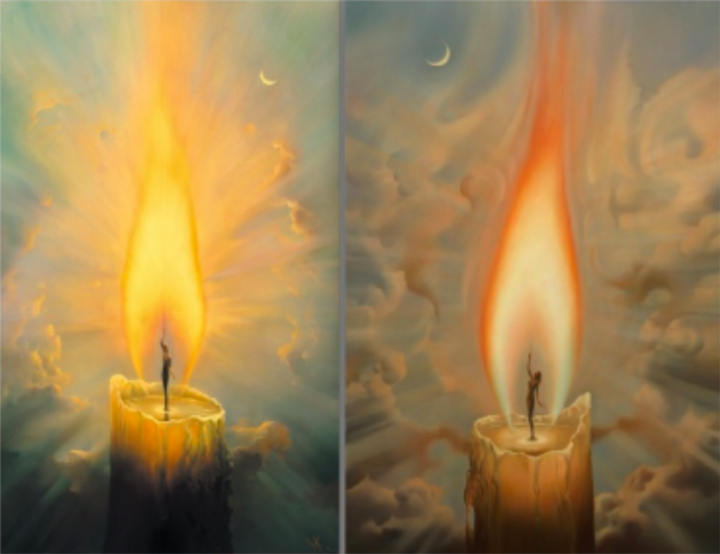 Vladimir Kush recently came forward with allegations against the pop star vocalist that she plagiarized two of his candle paintings, both made about two decades ago. He first noticed similarities between these works and Grande’s music video after scrolling through a listicle of references in “God is a woman” for the celebrity entertainment blog, Popsugar. A Russian transplant to the United States, Kush describe his aesthetic style in the complaint as “Metaphorical Realism.” Outside of Las Vegas, he also has galleries in California and Hawaii where he sells original paintings and reproductions, sculptures, art books, and jewelry. Grande is not the only person who faces possible legal action. Kush also lists “God is a woman” director Dave Meyers and the video’s producer, Nathan Scherrer, in his complaint. The artist has also taken aim at Universal Music Group and Scherrer’s production company, Freenjoy. Previously, Meyers worked on a music video for Kendrick Lamar and SZA’s “All Stars” song for the Black Panther movie. 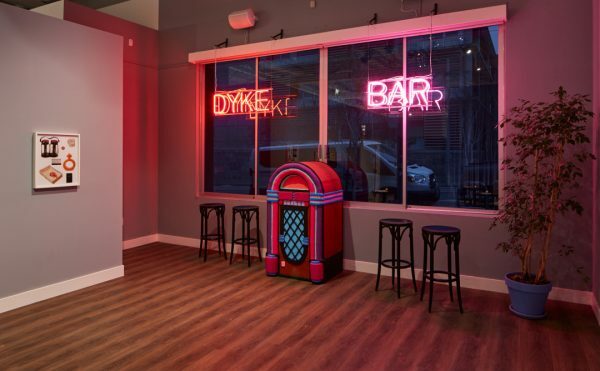 Upon release, the musicians were sued by artist Lina Iris Viktor; they settled for an undisclosed sum in December 2018. Through his legal action, Kush seeks preliminary and permanent injunctions against Grande and her collaborators; he also wants an award of actual damages and profits from the music video. Within the complaint, his lawyers argue that the singer violated the Nevada Deceptive Trade Practices Statute, which carries a $10,000 penalty for each violation and may be subject to misdemeanor or felony charges depending on the case. This may be the first formal complaint that Grande has received for her “God is a woman” music video, but Kush is far from the first person to notice similarities between the pop star’s work and that of other contemporary artists. Some on social media have noted that the song’s final scene, which reimagines Grande as God within a predominately-Black recreation of Michelangelo’s Sistine Chapel masterpiece, “Creation of Adam,” may actually be itself a reference to the work of Harmonia Rosales. The Chicago-based artist adapted the Renaissance fresco in her painting, “Creation of God” (2017), which features an all-Black cast of women, just like Grande’s music video.